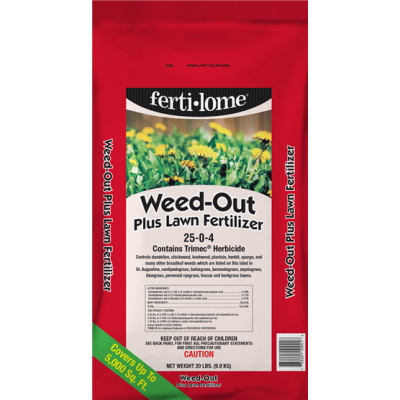 Many homeowners are eager to apply early spring fertilizers to their cool-season lawns (fescue, bluegrass, ryegrass). 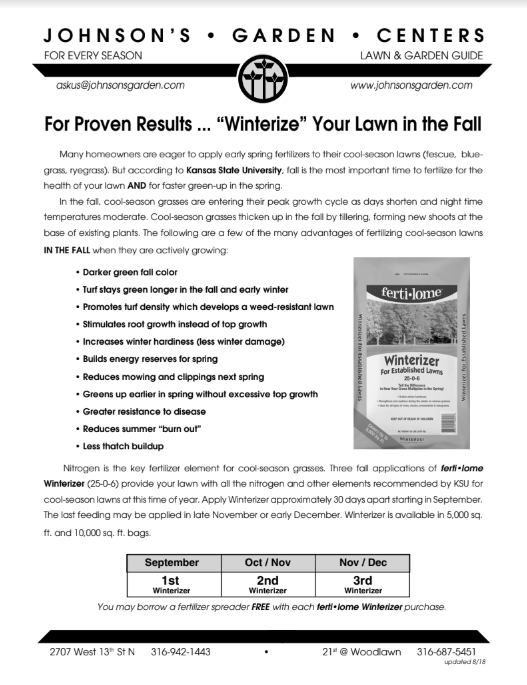 But according to Kansas State University, fall is the most important time to fertilize for the health of your lawn AND for faster green-up in the spring. Nitrogen is the key fertilizer element for cool-season grasses. 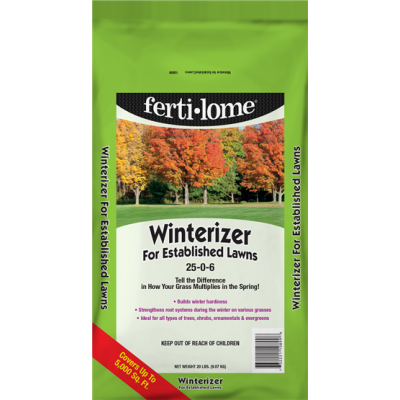 Three fall applications of ferti•lome Winterizer (25-0-6) provide your lawn with all the nitrogen and other elements recommended by KSU for cool-season lawns at this time of year. 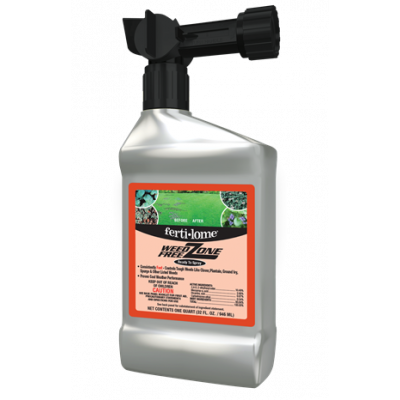 Apply Winterizer approximately 30 days apart starting in September. The last feeding may be applied in late November or early December. Winterizer is available in 5,000 sq. ft. (20 lbs.) and 10,000 sq. ft. (40 lbs.) bags.